“I had one participant who said, ‘It feels like my stories are carried on my back and one by one I’m unloading the burden,’ ” said Pamela Post-Ferrante. 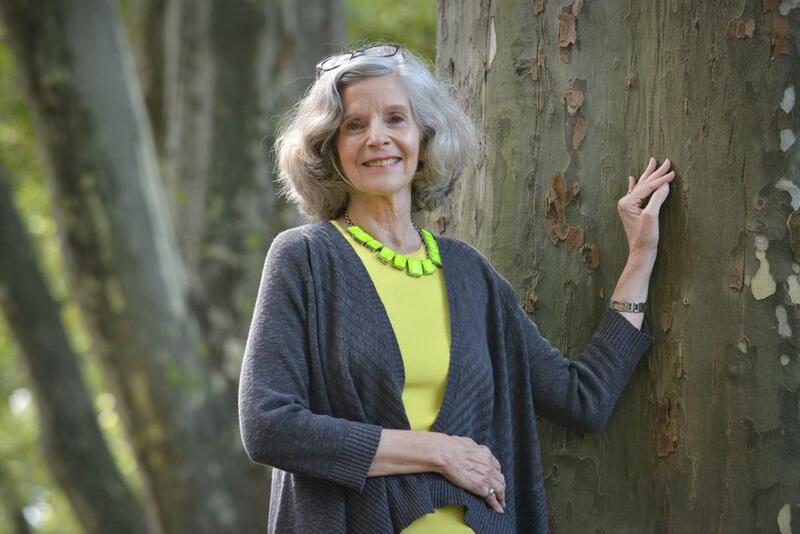 Post-Ferrante, who had four major cancer surgeries in the 1990s, recently wrote a book, “Writing & Healing: A Mindful Guide for Cancer Survivors,” to help individuals and groups use writing as therapy. Q. What prompted you to start writing? A. I really don’t know. I started writing short stories, and I just found that it took me into a world where I could express lots of feelings that may have actually been mine, but through a [fictional] character. I learned a lot about my early childhood through these stories. Q. Early in your career, you spent a dozen years teaching children how to write. A. They would write what was deep within themselves. The writing became beautiful because it was important to them and their self-esteem grew. I was stunned by the power of this tool. I would have gone on in this fashion, but in 1993, I had a diagnosis of breast cancer. Q. Within the span of a few years after that first diagnosis, you had two mastectomies, your marriage fell apart, and you lost your home and your community. A. After that, I realized that what I really wanted to do was to help other women, to try to give them some of the things that would have helped me along my path. Q. You began leading writing workshops a decade ago, and include mindfulness as part of the practice. How is mindfulness important to writing and healing? A. Following the breath and slowing things down took people’s writing to a much deeper level than if we’d just sat down and chatted and then began to write. It set the stage for people not only having the gift of the time to write for themselves, but also to have the time to get quiet inside, which is something we don’t do so often. And the writing was extraordinary. Q. Is everyone a writer? A. You don’t have to write to do this, because you’re given a prompt you can respond to. You can pick an acorn from a basket of objects, spend a few minutes looking at it, using your senses: What does it feel like, what would it taste like? You can write about your object. Everybody can do that. Q. You describe these writing sessions as powerful, what do you mean by that? A. People who say, “I don’t think I could ever write,” realize that they can given something – not just a blank page or the question: How do you feel about your cancer? Sometimes they will write about themselves, sometimes they won’t. Powerful also in the sense that they’ve used their own voice to read something, and they’ve been listened to. Q. Does it help cancer patients and survivors write about their illness? Q. Do people need to publish, to find an audience, for the healing to take place? A. I don’t think you need to publish for healing. I think there’s great healing in a group coming together for the same purpose. If you were someplace where you couldn’t find a group, you could find a buddy to listen to your writing. I think that’s important. Q. Does leading these groups help with your healing process, too? A. When I’m leading groups, I’m much better than when I’m not.